We are pleased that a number of prominent and knowledgeable speakers have agreed to give plenary talks at InnovationKT'2010. The capability to produce and use knowledge through strong systems of innovation is now regarded by many as critical to the success of countries, regions, firms and individuals. In the UK, Higher Education Institutions are widely seen as key contributors to regional economic development and a fundamental part of the knowledge economy. This presentation will investigate the relationship between knowledge, innovation and competitiveness in a regional context and explore the contributions made by universities in supporting regional innovation systems including an examination of the most common models of university-business partnership in use. It will review the role played by the UK Government in encouraging universities to respond to the needs of business and the wider community through 'third stream' funding programmes and examines the appropriateness of the metrics used to evaluate the effectiveness of this type of activity. Finally the presentation draws some conclusions on the effectiveness of 'third stream' activities undertaken by UK universities and attempts to demonstrate how research intensive and non-research intensive universities can undertake differential yet complementary roles in supporting regional economic development through 'third stream' activities in the future. Professor Oakes is responsible for promoting the University's research agenda and developing the growing knowledge transfer arena at regional, national and international levels. He was educated at the Universities of Aston and Bath and has held a number of senior management posts in higher education. He has been involved in an extensive programme of technology transfer activities, both national and transnational, operating across a range of sectors and has led the development of a number of initiatives focusing specifically on the transfer of technology from academia to both large and small firms. He has published widely in the field of innovation and technology transfer in the small firm manufacturing sector. The French system of academic research is based on an important transfer system from universities to companies. Based on different organizations and helped by different transfer tools, one important political aim is to develop the fertilization of the industrial world by academic knowledge. The valorization system is mainly based on two dimensions. The first one is based in universities and academic schools with the aims to help laboratories to identify appropriate knowledge and relevant partners to realize transfers from the academic world to the industrial word. The second dimension is based on public organizations, focused mainly on SMEs. It aims to increase dialogue between partners and to accompany the partners in connecting them, to identify the expertise and to help the partners in the first steps of negotiation and eventually contractualization. After presenting the general mechanism of knowledge transfer between the academic research and the industry in France, and giving some examples of organizations and tools, we will give some examples of study and research partnerships with the aim to illustrate this way of doing. Nathalie Gartiser is Assistant professor in business sciences at INSA Strasbourg - Graduate School of Science and Technology (France). 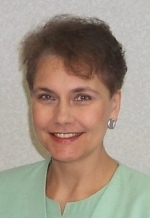 Dr Gartiser has been working on organization and industrial innovation management for 10 years. As master degree in innovative design, she has also developed research on problem solving in non technical fields during the last years. Her recent research on this topic has been developed on the Field of Environment and Land Use Planning. Involved in entrepreneurship activities on INSA Enterprises department, she is familiar with valorization activities and knowledge transfer between INSA Strasbourg and industrial partners. 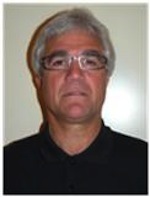 Jean Renaud is a Professor of Innovation and Conception at INSA Strasbourg - Graduate School of Science and Technology (France). He holds a PHD degree in Industrial Engineering. 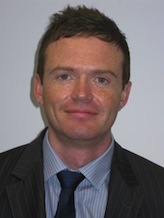 His research focuses on knowledge management and multi-criteria analysis. Dr. Renaud currently serves as an innovation expert in French firms and heads a French national association on project management. In the dictionary definition, a catalyst is something that acts as the stimulus in bringing about or hastening a result; it is something which modifies and increases the rate of a reaction. Since it was created just three years ago, the Technology Strategy Board has established a key position within the UK as a true catalyst for innovation and knowledge exchange; it has demonstrated that funding alone is not sufficient to facilitate true engagement between different communities, whether business, academia or government, to achieve measurable, sustainable outcomes but that, by recognising the barriers to collaboration and devising the appropriate mechanisms for overcoming them, challenges can be met with truly innovative solutions and remarkable results can be achieved. By drawing upon examples from the Technology Strategy Board's portfolio, Iain Gray will illustrate some of the mechanisms which have been successfully employed to stimulate and enhance collaboration between businesses and academia across the UK, to stimulate and support innovation, bring about strategic commercial developments and to address some of the major societal challenges of our time. 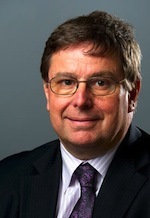 Prior to joining the Technology Strategy Board, Iain was Managing Director and General Manager of Airbus UK, whose Bristol operation he joined when it was still part of British Aerospace. Iain is married to Rhona and has four children. The UK University sector is extremely rich in ideas, but is being challenged like never before to commercialise this intellectual property. There are many different journeys from IP to commercialisation; all are long, complex and full of opportunities for failure. Yet these journeys follow clear patterns that innovation professionals, like the members of BDI, know how to recognise and avoid. In his talk the author will use case studies from his 28 years of continuous innovation as well as selected case studies from other BDI members to explain some of the main risk patterns and explain how KT collaboration with BDI members is a cost effective method of increasing the return on IP held in the university sector. The talk will also present UDIP: a University Design Innovation Partnership in which BDI and a select group of universities are piloting a collaboration forum specific to design and the universities. Originally from Canada, Gus is an RCA trained Industrial Designer, also qualified in mechanical and systems engineering. 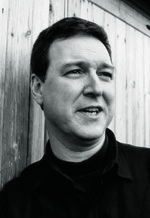 Gus has been designing and directing award-winning, commercially successful, innovation, continuously, for the last 28 years, for some of the world's top brands: BT, HP, Toshiba, Grass Valley among many others. He has also helped many successful startups: his Lightworks Digital Editor design won an Oscar. Every day, tens of millions of people interact with the work created by Gus and his team at TheAlloy: experience-led design, a leading, employee-owned, design consultancy Gus founded in 1999, which does product, interaction and service design as well as innovation strategy. Gus advises and speaks frequently on why and how organisations can use a human-centric innovation approach to achieve better results, especially when the technology and value chains are complex. He has a particular expertise accelerating the acceptance of new emerging technologies and in the creation of inclusive mass market solutions that work for young and old alike. Knowledge transfer and innovation is high on the list of priorities for the Welsh Assembly Government (WAG). Creation of a dedicated support for KT dates back to 1997, when following the consultation paper 'An economic strategy for Wales', it become clear that an impartial facility for brokering KT opportunities should be established. The presentation will describe a chronological development of processes that grew from a small group of enthusiastic KT practitioners to a multimillion programme delivering versatile support for knowledge transfer activities in Wales. Know-How Wales (KHW) launched in 1999 was a free all Wales business support service bringing businesses in Wales closer together with Institutions of Further and Higher education and acted as a gateway to knowledge transfer provision between the two. A first of the EU funding in 2001 enabled the launch of the Knowledge Exploitation Fund (KEF) that dealt with supporting 3rd mission and capacity building for KT delivery within academia. The KEF funding laid the foundations to a 'KTP Mentoring project for the FE sector' aiming to encourage the spirit of collaboration between HEIs and FEIs. The second tranche of the EU funding secured in 2007 enabled KT community in Wales to continue and strengthen collaborative activities and embed the spirit of CPD, innovation and enterprise. Dr Jarmila Davies is a Programme Development Manager at the Department for the Economy and Transport of the Welsh Assembly Government. Having graduated in Civil and Structural Engineering at Prague University Jarmila carried out research for the degrees of MSc at Cardiff University and PhD at the University of Glamorgan. She then pursued a successful career in higher education at the university where she led research programmes of international standing. Being a Chartered Civil and Structural Engineer, she gained considerable experience of collaboration projects working with the construction, manufacturing and engineering industries including a broad range of SMEs in Wales. Jarmila has played prominent roles in the development of lifelong learning programmes for Welsh engineers and the promotion of the public understanding of science and engineering. She is committed to establishing new forms of interface between businesses and academia and developing relationship and knowledge management as vital tools in the knowledge transfer process. 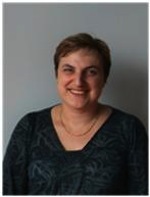 She is a Fellow of the Institution of Civil Engineers, a Member of the European Federation of Engineering Associations, Honorary Fellow of the Chamber of Czech Engineers and a Member of the Institute of Knowledge Transfer and serves on several Boards concerned with education and promoting the public understanding of science and engineering. Knowledge Transfer across NHS Trusts is slowly gathering momentum. The NHS are increasingly becoming aware of the importance of their IP and their relationships with academic institutions in IP creation. MidTECH have been working with these Trusts trying to establish a culture where the protection of ideas is a high priority. This has come up against some resistance within the healthcare system but in roads have been made. MidTECH have adopted a system whereby projects are turned over very quickly and a priority is given to "quick-wins". This is showing Trusts that achieving a return from their IP is possible and case studies are feeding more ideas. This rapid turnaround has required an internal change in IP project management. Target-driven, internal competition, bonus schemes and a "hands-off" approach to the technology have all contributed to our model. This presentation will look at that system and also look generally at how the NHS structure is changing and how that impacts on innovation. Mike Smith has worked for various NHS Trusts and Universities in the West Midlands region for over five years, developing and commercialising new ideas and products. Previously, he has worked in the private sector licensing software technologies across the U.S. and Europe. Currently, he is the Senior Innovation Manager at MidTECH - NHS Innovations West Midlands and works directly with NHS staff to assist them in protecting and developing their novel ideas and innovation.